Welcome to the St. Edmundsbury Bowling Club website. The St. Edmundsbury club is a friendly town club located in the heart of Bury St. Edmunds. We participate in league games and county competitions and hold many social events throughout the summer bowls season. New members are always welcome and offer support to all levels of bowling ability. Roll-Ups for new members or visitors are held on Monday, Tuesday, and Friday afternoons from 2:00pm, beginners most welcome. If you are interested in joining us, please get in touch via the contact page. 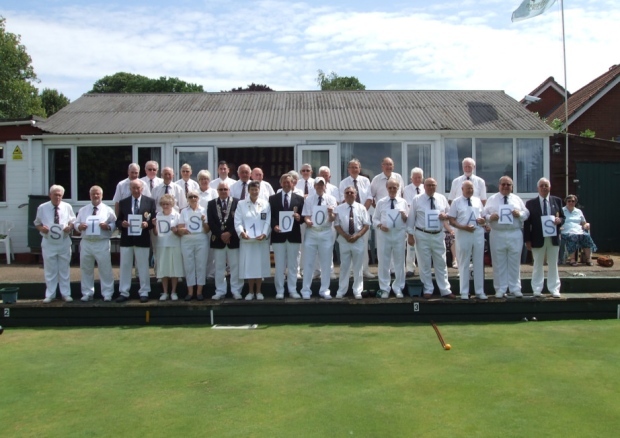 Last year we celebrated our centenary year and look forward to many more years of bowling.